New from Tuff Mounts are these heavy duty, fully captive engine mounts to suit R32, R33 and R34 Nissan Skylines with RB series engines. 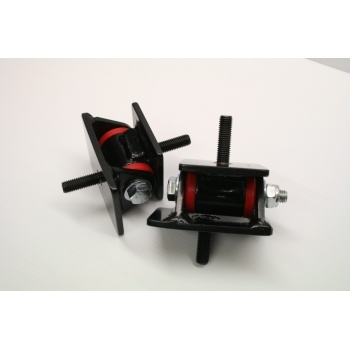 Designed to take a beating from big horsepower engines and ideal for drift and motorsport use, Tuff Mounts hold the engine firmly in place at all times, allowing greater transfer of all engine torque through the driveline. R33 models require a hole to be drilled in the crossmember for fitment.